Discussion in 'Newsfeed Zone' started by NewsBot, Feb 10, 2019. Two wideouts and one running back that the Cowboys should have on their radar. We are in full draft mode as the 2019 NFL Combine is right around the corner. This is the time of the year with lots of excitement, hype, suspense. and also when we dream of prospects that can bring the Cowboys back to glory. The Senior Bowl has come and gone and the NFL Combine invitations were officially released on Thursday. Despite the Cowboys not holding a first-round selection at this point in time, there is no loss of anticipation within the Cowboys fan base. The move for Amari Cooper helped this team win the NFC East and get back into the postseason. We do not know yet what the Cowboys will do with Dak Prescott this offseason in terms of a contract, but for all intents and purposes, the franchise is committed to number four. What prospects in this draft class will help take Dak Prescott — and, as a result, the Dallas Cowboys offense — to another level? Here are three weapons that have the ability to do just that. 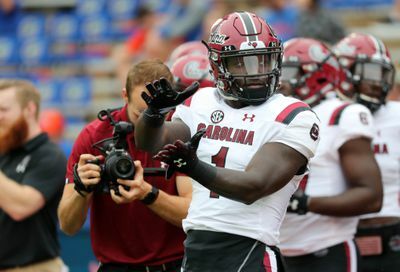 The prospect in this piece that is least likely to be available for a Cowboys selection is South Carolina’s do-it-all stud Deebo Samuel. Samuel is a dangerous offensive weapon that is capable of hurting defenses in a number of ways with the ball in his hands. Samuel was on track to be a top-50 selection in last year’s draft class before a leg injury cut his season short. 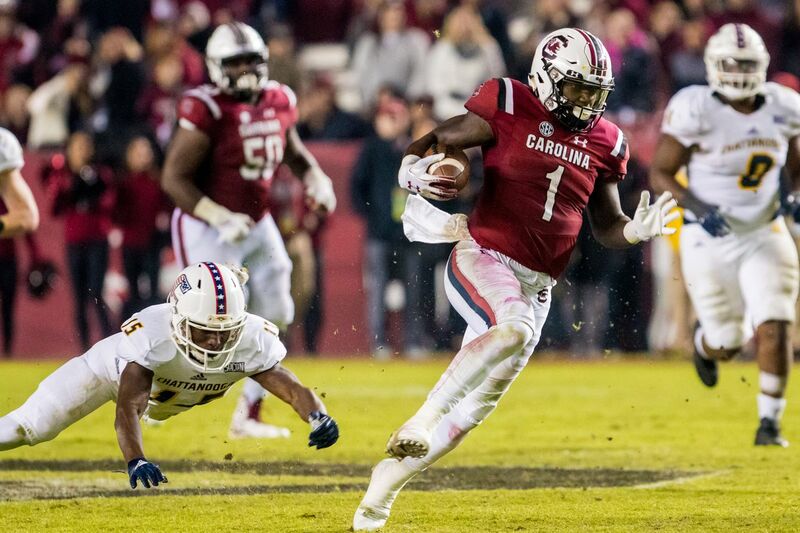 Many wondered how the Gamecocks star would rebound — and he answered those concerns. The South Carolina native began the season slow — for his standards — but reminded everybody why he was considered a big-time talent by the end of the season. Strictly speaking about production, 2018 was Samuel’s best season, as the wideout recorded 908 yards and 11 scores from scrimmage while averaging 13.0 yards per touch. The 5-foot-11, 216-pound weapon showed out in the Senior Bowl as he embarrassed the defenders lined up across from him while impressing scouts and executives in the process. If in range for the Cowboys, Samuel is the kind of player that can take this offense to the next level. Ezekiel Elliott is the workhorse of this team, that much is understood; however, we are seeing more and more teams across the league utilize a stable of backs in different scenarios. Some backs are better when its second-and-short, while others are more of a threat on third-and-long. You can argue that Zeke is rare in the sense that he is made for every down and sequence, but it would be nice to give him a complementary piece in the backfield. The 5-foot-8, 200-pound back is an ideal fit to add an extra dimension to this offense. Thompson, a JUCO product, had a stellar season for the Aggies in his only year there — rushing for over 1K yards (1,044), totaling over six yards per carry, and reaching the end zone 14 times on the ground. Furthermore, the Tulsa, Oklahoma, native grabbed 23 passes for 351 yards and a pair of scores. He displays impressive open-field speed that makes him a headache for defenses to contain. Thompson’s ability to be effective in the receiving game and bust plays open makes him an intriguing prospect. The former JUCO All-American is not a world class sprinter, but Thompson does possess shiftiness and twitch that allow him to change directions quickly in the open field. Worried that his size may prevent him from breaking off runs when a defender gets his hands on him? Good news: Thompson has shown strong contact balance as well. 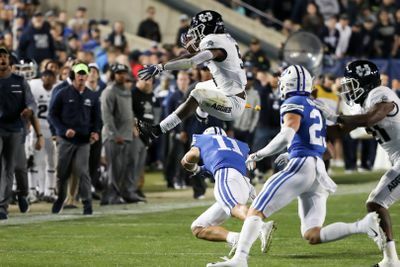 While Thompson is not an every down style of back, the Utah State running back possesses enough traits to carve out a role as a secondary option. The NFL is becoming more and more of a “niche league” — we have seen that with the Patriots, as Belichick likes to rotate Sony Michel, Rex Burkhead, and James White depending on the situation, down and distance, and spot on the field. Dallas has shown that they have been interested in a utility back in previous drafts —Donnel Pumphrey, Nyheim Hines, and Ito Smith come to mind. Thompson is an ideal day-three prospect for the Cowboys to keep an eye on. 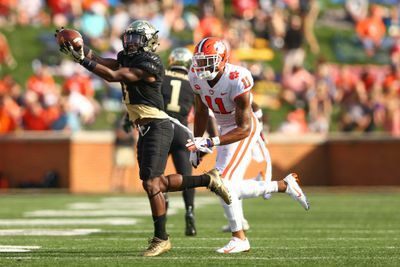 With all of the talk surrounding some of the other wideouts in this class, Wake Forest’s Greg Dortch has fallen a bit under the radar. Dortch, however, is a prospect that can make an impact in the NFL if in the right situation. Dortch redshirted his initial season on campus at Wake Forest, but it did not take long for the Virginia native to make an impact for the Demon Deacons. The exciting receiver caught 53 passes for 772 yards and nine touchdowns in his first season on the field, but 2018 was a huge year for the former three-star prospect. Wake Forest made sure that Dortch was a point of emphasis in their offense this past season. 89 catches, 1,078 yards, eight touchdowns, and first team All-ACC honors later, Greg Dortch made the decision to forgo his final two years of eligibility in favor of putting his talent into the draft. Dortch possesses strong and reliable hands, but does struggle when contested; nonetheless, Dortch is a weapon in the slot and averaged nearly 13 yards per reception over two seasons in Winston-Salem. The Wake Forest weapon has also shown that he can make plays on special teams, and we know how much Jason Garrett’s staff loves that. Dortch averaged over 11 yards per punt return in 2018, taking two back to the house. While there are better or more NFL-ready slots in this class, the Cowboys can find good value in Dortch in that area early on day three. The Wake Forest playmaker has the ability to develop into a formidable target for Dak Prescott in the middle of the field, while also contributing as a return man on special teams. Which offensive playmakers do you have your eyes on for the Cowboys to draft?